Tom Garrett spent three decades with Arby's--first as an assistant manager, then as the brand's largest franchisee, and finally as CEO of the franchisor. It was mostly a good ride, he says. In mid-2005, Garrett was president of RTM Restaurant Group (operator of 775 Arby's in 22 states with sales of nearly $800 million) when it was acquired by Triarc Companies (franchisor of the Arby's brand). Following the sale, he became COO of Arby's at a time, he says, when the company was "overleveraged in an economic crisis." However, he adds, the time he spent there, before exiting as CEO of Arby's Restaurant Group in early 2010, was ultimately worthwhile. "I can't say it was fun, but those 5 years made me tougher and smarter and better prepared to go back to what I love: being a multi-unit franchisee." Following a couple of years as a full-time dad to his two young daughters, Garrett began to look for new opportunities in franchising. "You don't get to be an 800-store franchisee without knowing how to consolidate and how to create value where other people haven't been able to," he says. "So we went about putting together a team and began to look at the best opportunities in the industry. A lot of former RTM employees are on our team and we have great systems and a great culture." In 2012, the Montgomery, Ala., native knew Burger King was beginning a huge refranchising effort. "This was an unbelievable opportunity to get involved with a brand that enjoys--though it was a little beat up--100 percent brand awareness. They had a smart new management team and we wanted to be part of things," he says. However, when he called, Garrett learned that all the markets of interest to him were already sold. "That was discouraging, but I knew what I wanted to do. So I went ahead and did my training, working in Burger Kings in Atlanta for seven weeks, and waited for God to sort it out for me." It was unusual to work in a store without an opportunity, but Garrett says he wanted to convey something to Burger King. "It was a leap of faith and I wanted to show them that I was committed. They didn't know me or owe me anything. But within two or three months, the transaction for the Atlanta restaurants fell apart and we stepped in." In October 2012, GPS Hospitality (Goal Focused, People Oriented, and Service Obsessed) was formed with the purchase of 42 company restaurants in Atlanta. Acquisitions in West Virginia and Ohio added 15 more restaurants, followed by a few more in Atlanta. In September 2014 the company reached 100 units with it fourth acquisition adding 39 more restaurants that needed a "full-on turnaround." By the end of 2014, GPS had added several dozen more restaurants in eastern Pennsylvania. This past July, a 60-store acquisition in Michigan brought the company's total Burger King count to a whopping 196 restaurants in 9 states (Georgia, Indiana, Kentucky, Maryland, Michigan, New Jersey, Ohio, Pennsylvania, West Virginia). "By late 2014, people were beginning to recognize what kind of company we are, that we're really good operators who run good margins, pay fair prices, and don't re-trade on price or take advantage of sellers," he says. "Sellers began to seek us out for those reasons. We never knocked on a door or called and asked people to sell. That's not what we do. We built a reputation that makes people want to do business with us." This past June, GPS Hospitality was recognized by the Atlanta chapter of The Association for Corporate Growth as one of the top three honorees of 2015 Georgia Fast 40 in the Upper Middle Market category. The re-imaging of BK is going very well, according to Garrett. "Burger King had gotten old and tired, and part of what we're excited about is helping the team in Miami to breathe new life into the brand. It's paying off in a huge way. Burger King is relevant, at the center of pop culture, and possessed of 100 percent brand awareness," he says. 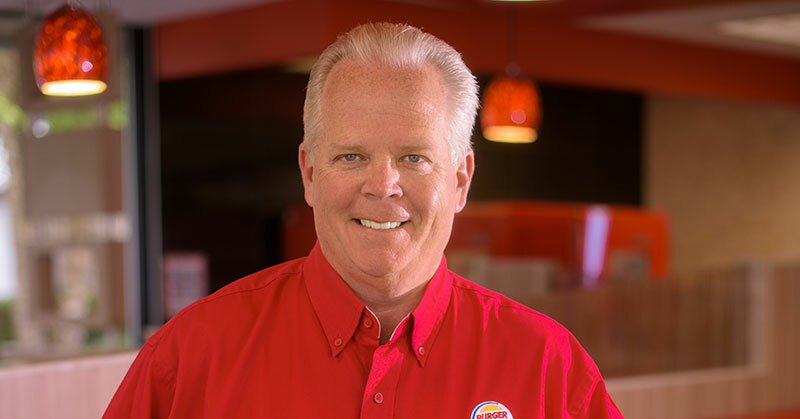 "We couldn't be more pleased with Alex Macedo and the entire Burger King team," he says. "They've done a good job from a facilities standpoint with an ambitious renovation and reimaging on 800 stores last year and about 700 this year. They've built on the recognition that you have to give guests a superior experience and followed up with much-improved operations, better people, and better training." Garrett, who credits great managers he had as a teen working at Wendy's and partners and mentors in RTM Restaurant Group and Arby's for his work ethic and success, says he is an entrepreneur by nature whose priorities are being a good husband and father. "Everything else comes after that."